Our display is conveniently located directly inside our most-used entrance. It consists of a rustic wooden tray and a handmade wooden bowl. The tray came from a thrift shop and is actually a sign, turned upside down. (Cost: $1). The bowl was made by my great-uncle. (Cost: Free!) It brings me great joy to see it daily, serving such a meaningful purpose. [A] growing body of research links our mental, physical, and spiritual health directly to our association with nature—in positive ways. Several of these studies suggest that thoughtful exposure of youngsters to nature can even be a powerful form of therapy for attention-deficit disorders and other maladies. As one scientist puts it, we can now assume that just as children need good nutrition and adequate sleep, they may very well need contact with nature. This is not an earth-shattering concept. Nor is it expensive, complicated or time-consuming. Anyone can do it! All you need is a designated spot, or perhaps a special vessel (or both). Our Yankee Homestead Nature Display evolved as a solution to my boys’ constant desire to bring home their natural treasures. All the acorns, fall leaves, rocks, pinecones, feathers and the like were threatening to overtake both my humble house-cleaning abilities as well as my sanity. Ergo, the Nature Display. 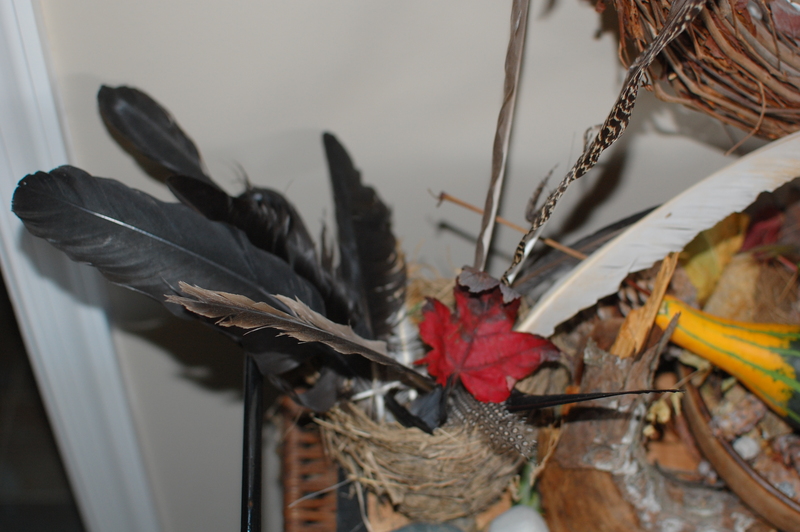 Now we have a designated spot where all nature-related treasures may comfortably reside within our home. I don’t have to worry about finding said treasures between couch cushions, in drawers or underfoot. 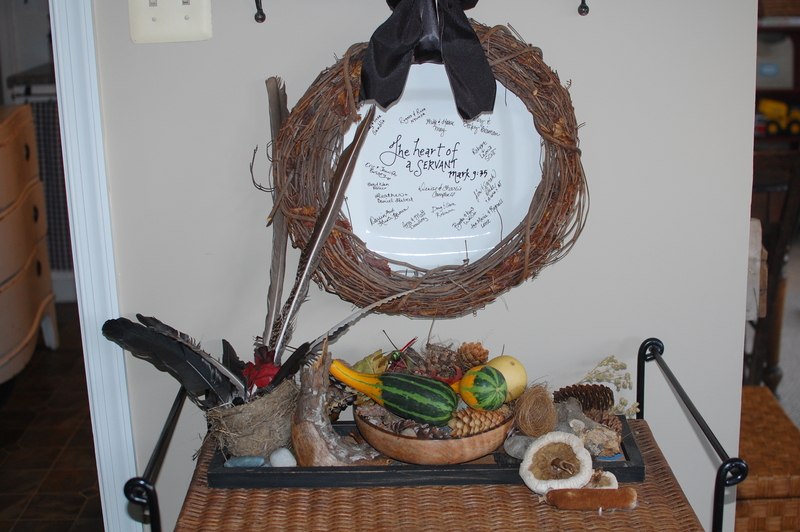 The boys know the drill and they delight in adding their artifacts to the display after a nature walk or a special excursion. My 6-year-old has even begun to take pride in artfully arranging the collection. From time to time, our collection outgrows its space and we have to “edit.” (Occasionally, discreet editing takes place while the munchkins are sleeping). 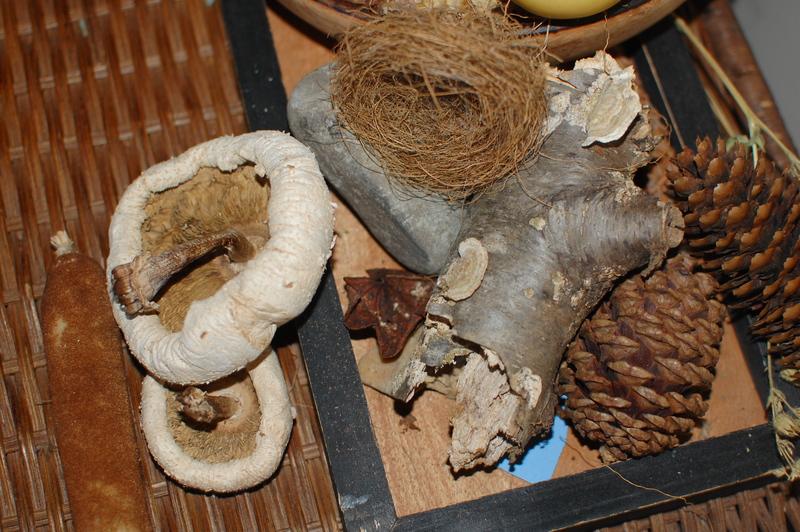 Cattail, mushrooms, rock, bird’s nest, branch section with mushrooms, pinecones. 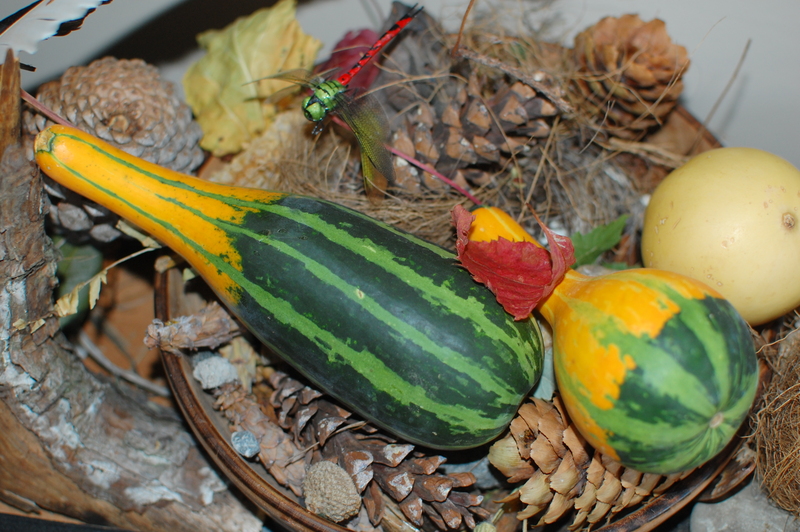 Our Nature Display is constantly morphing into a new masterpiece, a token of the changing seasons and a visual reminder of our enjoyed experiences in God’s Great Outdoors. Do you have a Nature Display? Hello to all, it’s truly a pleasant for me to go to see this web page, it contains helpful Information.